O God, our strength and our salvation, you called your servant Thomas Becket to be a shepherd of your people and a defender of your Church: Keep your household from all evil and raise up among us faithful pastors and leaders who are wise in the ways of the Gospel; through Jesus Christ the shepherd of our souls, who lives and reigns with you and the Holy Spirit, one God, for ever and ever. Amen. Thomas Becket was born in around 1120, the son of a prosperous London merchant. He was well educated and quickly became an agent to Theobald, Archbishop of Canterbury, who sent him on several missions to Rome. Becket’s talents were noticed by Henry II, who made him his chancellor and the two became close friends. When Theobald died in 1161, Henry made Becket archbishop. Becket transformed himself from a pleasure-loving courtier into a serious, simply-dressed cleric. The king and his archbishop’s friendship was put under strain when it became clear that Becket would now stand up for the church in its disagreements with the king. In 1164, realising the extent of Henry’s displeasure, Becket fled into exile in France, and remained in exile for several years. He returned in 1170. On the 29 December 1170, four knights, believing the king wanted Becket out of the way, confronted and murdered Becket in Canterbury Cathedral. Becket was made a saint in 1173 and his shrine in Canterbury Cathedral became an important focus for pilgrimage. 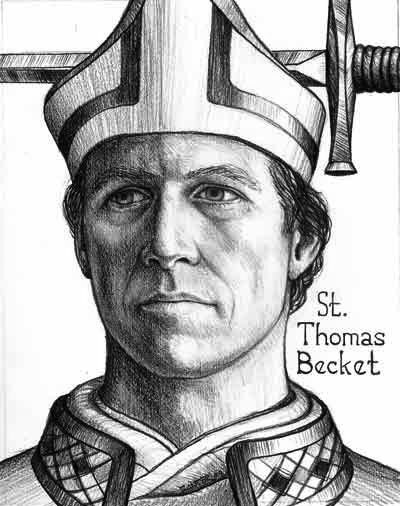 I must admit that I first recall hearing about St. Thomas Becket was due to the play that was produced some time ago, highlighting his life with King Henry II, his time as Archbishop of Canterbury and his death in 1170. 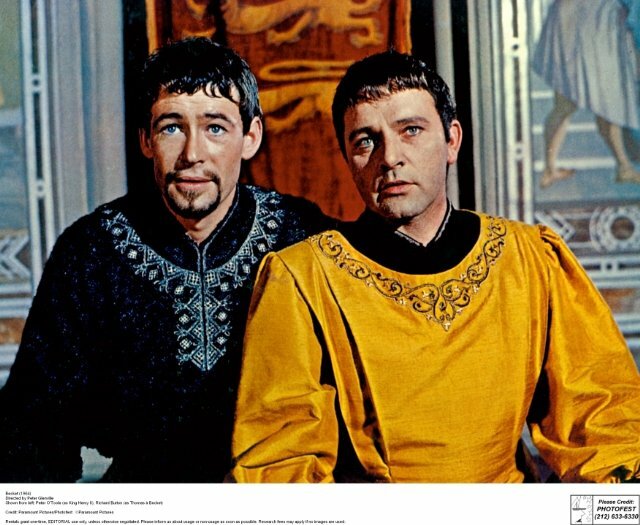 During my “Anglican Year”, I watched the 1964 film, based on said play, titled Becket starting the late Richard Burton (as Becket) and the recently deceased Peter O’Toole (as Henry II). St. Thomas Becket’s story is one that I believe many clergy can relate to. Its a story of a man who loves God and is willing to serve him more than most, but less that what God wants from him. Becket served as a deacon in the Church and then left to serve as the Chancellor to King Henry II. Afterwards, he was reluctantly appointed/consecrated as the Archbishop of Canterbury. During his tenure as the Archbishop of Canterbury, his relationship with King Henry II began to strain. His relationship with the King would eventually crumble. I know that I faced this when I was ordained to the Baptist ministry. I faced it even more so when I was ordained to the One Holy, Catholic and Apostolic Church (Anglican, Roman, Orthodox). Some of my friends stopped speaking to me, others would treat me different. Some family members would accuse me of being judgmental when I would address their role in family situations. I also had clergy colleagues that would expect me to act a certain way or embrace a certain theological perspective because of their personal preferences. After much prayer, conversation with various folks, and a certain level of comfort, I have learned to be strong in the faith and my convictions of the faith. The relationship to man is secondary to the relationship to God. I pray that you stand strong and be firm in the faith, as St. Thomas Becket was. He did not waver and held onto God’s unchanging hand all the way to the end.